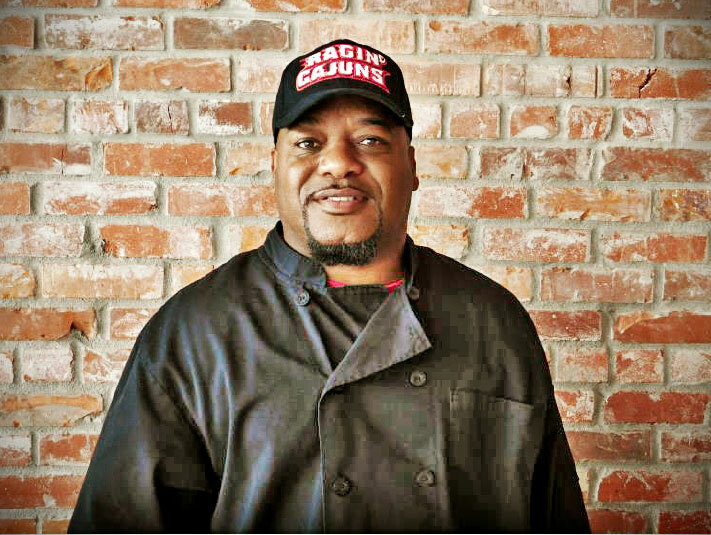 Chef Tony Savoy started his culinary career long ago, under the guidance and with inspiration from Ms. Ester Broussard (Sous Chef) and Executive Chef Marty Cosgrove of Oakbourne Country Club. Eventually serving as Executive Chef himself, he remained at Oakbourne until being offered a consultancy with Mulate’s New Orleans in 1999. Shortly after, Chef Tony became a full time Corporate Chef. Returning to Acadiana due to family illness, Chef Tony was approached by Roland Boudreaux to bring the Frog City Plaza menu to life. He remained in Rayne for 3 years before taking over as Executive Chef at Studebaker’s in Duson for the next 9 years. Spending some time away from the kitchen, in the years that followed, his passion for food never diminished. He was approached by Buck & Johnny’s and joined us in expanding our menu to include the amazing Cajun-Italian fusion that you all enjoy today. In 2012, Chef Tony Savoy became a part owner of Buck & Johnny’s. His passion and Cajun flair can be tasted in every dish. We are proud to call Chef Tony Savoy our own!